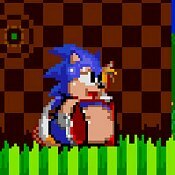 Description: Fat Sonic 2 is a cool fan game where you collect rings and get ultra fat lol. So fat he can barley move. So its actually best to collect rings as fast as you can to stay slim.